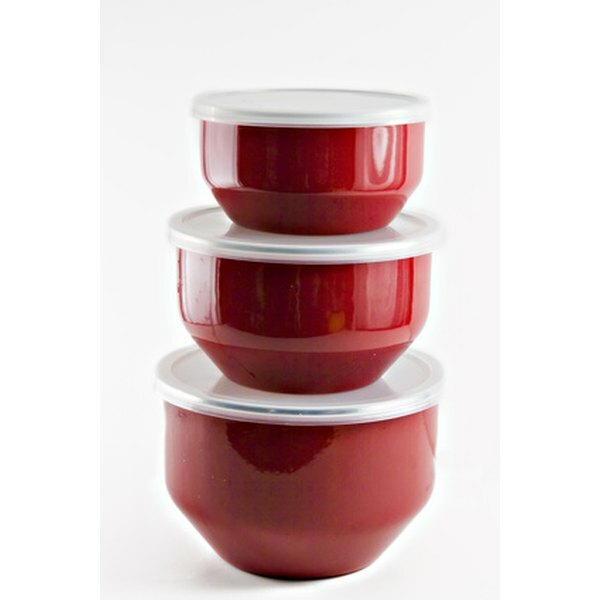 Plastic food storage containers don&#039;t cost a lot, are light and durable and are easily found in most stores. Despite their advantages for storing dinner leftovers and other food items, such plastic food containers can present several dangers. These dangers and risks run a wide gamut ranging from health risks to you and your family, to environmental degradation. Companies use a chemical known as Bisphenol A, commonly referred to as BPA, to manufacturer reusable plastic food containers, according to Pennsylvania State University. The university warns that research is inconclusive on the safety of this chemical, but reports that some potential exists for numerous health risks related to BPA exposure. The United States Department of Health &amp; Human Services warns that the most risk involves children and infants who are more susceptible to trace amounts of any type of chemical. Some plastic food containers may be hard to clean or have grooved or lipped surfaces that harbor bacteria, according to the International Association for Food Protection. The bacteria may contaminate the food itself and create a risk of gastrointestinal distress or food poisoning. The association recommends only using plastic food storage containers that are wide, open and easy-to-clean. In 2008, American households discarded 13 million tons of plastic, according to the U.S. Environmental Protection Agency. Of these, most of the plastic was from containers. The EPA reports that only 6.8 percent of this plastic was recycled. The throwing away of plastic can contaminate the environment and build-up in landfills. Exposing plastic containers to high heat conditions, such as boiling water or a dishwasher, can cause the plastic to leach various kinds of potentially harmful chemicals into its food contents, according to the U.S. Department of Health &amp; Human Services. This includes BPA. The department suggests not using boiling water with plastic containers, and only placing plastic containers labeled "dishwasher-safe" in your dishwashing appliance. Pennsylvania State University: Is Plastic Dangerous?